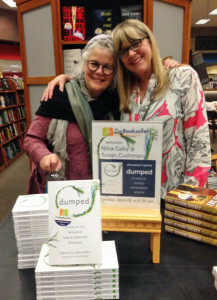 Just finished a wonderful Southern book tour for Dumped: Stories of Women Unfriending Women, with my friend Nina Gaby, who edited the collection. (Here’s a nice review in the Huffington Post.) 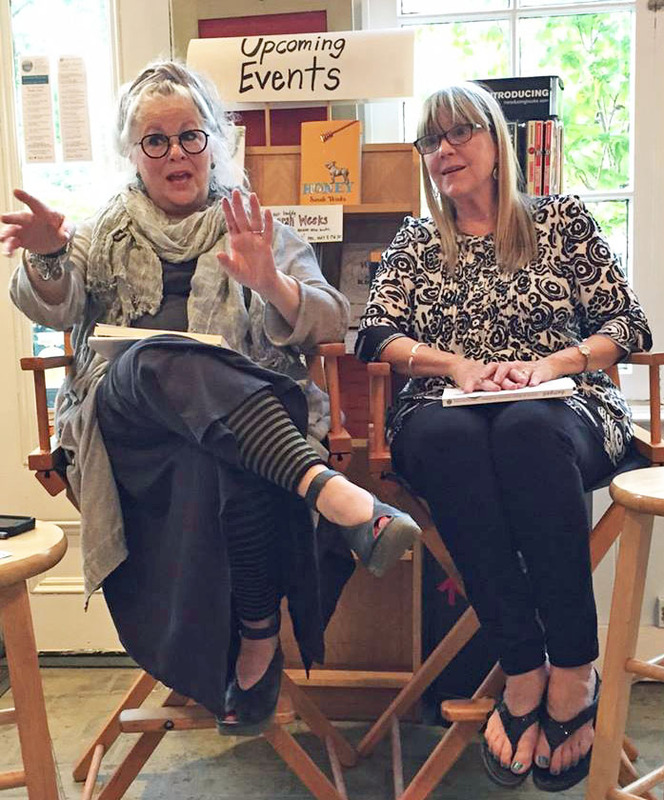 We had events at four wonderful independent bookstores in Athens (Georgia), Atlanta (where we were joined by Jessica Handler), Oxford (Mississippi) and Memphis. 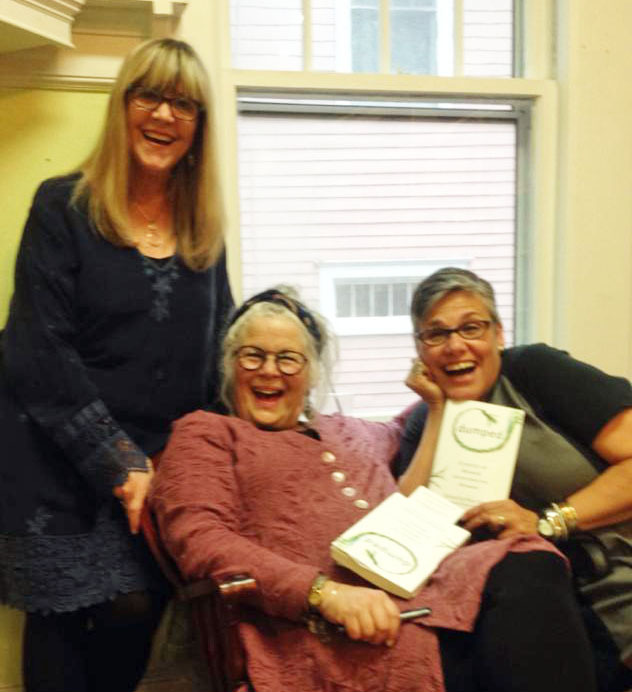 It was great fun and we are so thankful to everyone who came to the readings and bought the books and participated in the discussions in each location. Thanks also to the wonderful indie booksellers who hosted these terrific events: Avid Books, Charis Books, Square Books, and The Booksellers at Laurelwood! And… since Nina had never been to Memphis, we spent our “break days” between events visiting Beale Street, the Peabody, South Main arts district, and Graceland. On May 18 I have a meeting in New York City with the literary agent with whom I’ve been working on revisions to my novel, Cherry Bomb. And I’m waiting to hear back from the editor at a university press who has shown interest in publishing an anthology I proposed to him a few weeks ago. So how will I fill the “lull” between these exciting activities? About a year ago I started a new novel—only wrote the first chapter—so I could pick that back up, but I don’t have the energy for it yet. I think it might be time to write another essay, but I need some guidance: what to write about, where to submit it, etc. That’s where the new Poets & Writers comes in, with their staff-written article, “Anatomy of Awards: A Decade of Writing Contests.” If you’re a writer looking to submit poems, short stories, essays, or full-length manuscripts for publication, this is a gold mine of information. P&W went through their archives during several years since 2004 and charted the number of contests, average entry fees, amounts of prize money, and other valuable information to help the writer assess the value of entering writing contests. After reading the short article and studying the chart briefly, I decided it’s definitely worth the investment to submit an essay to some of these contests. Whether or not I win (or place, as I have in the past), my goal is publication more than the prize money. And motivation to write another essay. I looked through the current Deadline section and found eight contests that include creative nonfiction essays, with deadlines ranging from May 18 through July 1. I’ve got one unpublished essay that I spent a lot of time revising last year, so I might dust it off to submit to some of the contests. But it’s also time for a new essay, and I have to say, I do love a deadline. Here goes…. 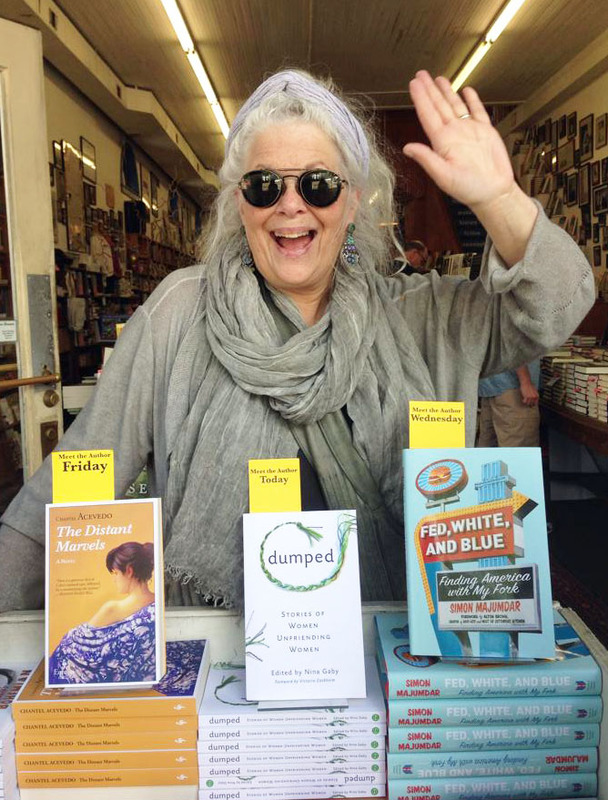 Meanwhile enjoy a couple more photos from the “Dumped” book tour. 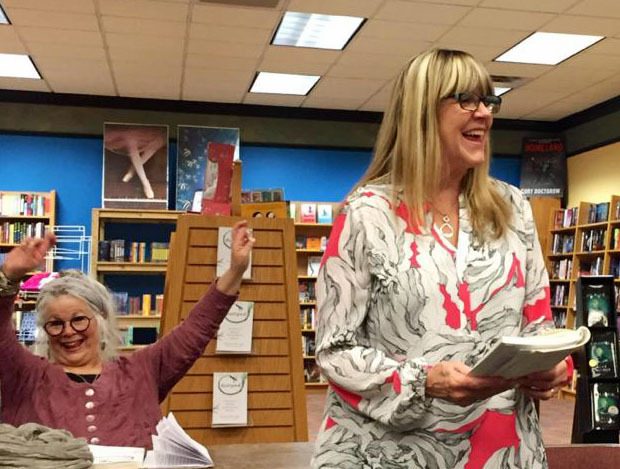 I wish I could remember what was so funny at this point in my reading at Laurelwood!